A controversy is fermenting right here in Prince Edward County. It is a sobering reminder you can’t please everybody. The controversy may drive some to utter an expletive or ten. A statue for Letitia Youmans. County staff is reviewing a proposal, from a group of like-minded residents, that urges the County dip into its reserve budget and fund a statue memorializing Letitia Youmans (above). The proposed location for the statue is the Wellington Park. 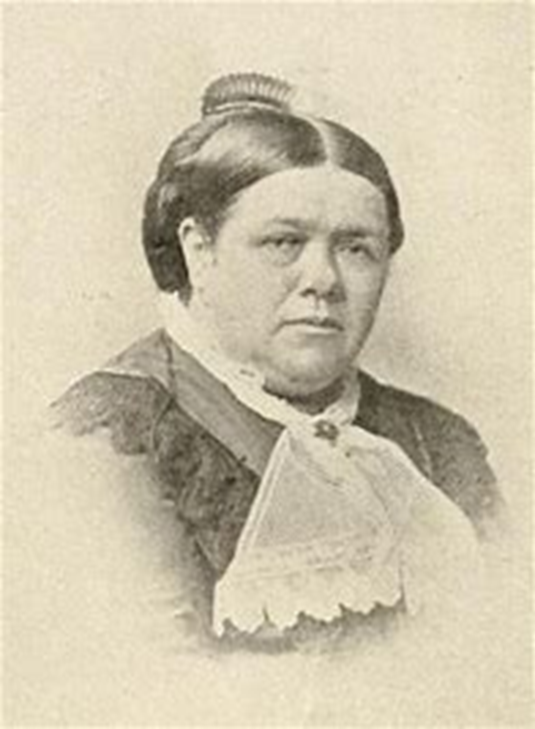 Ms Youmans (1827-1896) served multiple terms as the president of the Ontario and Dominion Women’s Christian Temperance Union and was the founder of the WCTU in Picton. Steve Campbell, author of Prince Edward County: an illustrated history,” says Youmans spoke up for the rights of women to have “a comfortable home, a sober husband ... and sober sons.” She took a pledge of abstinence at the age of ten. Thereafter, she “tried her damnedest to eradicate drinking, smoking and bad language in Prince Edward County and elsewhere,” says Campbell. This support of Youmans reminded me that, when most of the rest of the County went wet, Wellington was an island of dry. Erecting the statue would offer Wellington a new opportunity to tout its moral superiority over Picton. That’s a hard argument for a councillor, up for re-election, to rebut. Indeed, supporters, of the project, are quite confident they will have a majority of council on their side when the matter comes to a formal vote, later this summer. In an off the record briefing, County Mayor Robert Quaiff defended the right, of councillors, to approve the proposal, stating that, “If you stifle controversy, you also stifle the pursuit of knowledge, the generation of ideas and the discovery of new truths.” Local MPP Todd Smith, who has been watching the controversy develop, stated to us that he considers the proposal “a bit tone deaf,” but that this was an issue for the municipality to resolve. Behind the scenes, we understand, Mayor Quaiff is attempting to broker a compromise. One solution is to ask the University of Alberta to confer a honourary doctorate on Youmans; with the understanding that the County would then shelve consideration of the statue. The university might just go for it: she would be a lot safer choice than would David Suzuki, for instance. Some readers seem intent on nullifying the authority of David Simmonds. The critics are so intense; Simmonds is cast as more scoundrel than scamp. He is, in fact, a Canadian writer of much wit and wisdom. Simmonds writes strong prose, not infrequently laced with savage humour. He dissects, in a cheeky way, what some think sacrosanct. His wit refuses to allow the absurdities of life to move along, nicely, without comment. What Simmonds writes frightens some readers. He doesn't court the ineffectual. Those he scares off are the same ones that will not understand his writing. Satire is not for sissies. The wit of David Simmonds skewers societal vanities, the self-important and their follies as well as the madness of tyrants. He never targets the outcasts or the marginalised; when he goes for a jugular, its blood is blue. David Simmonds, by nurture, is a lawyer. By nature, he is a perceptive writer, with a gimlet eye, a superb folk singer, lyricist and composer. He believes quirkiness is universal; this is his focus and the base of his creativity. "If my humour hurts," says Simmonds,"it's after the stiletto comes out." He's an urban satirist on par with Pete Hamill and Mike Barnacle; the late Jimmy Breslin and Mike Rokyo and, increasingly, Dorothy Parker. He writes from and often about the village of Wellington, Ontario. Simmonds also writes for the Wellington "Times," in Wellington, Ontario.